Something I am seeing more and more of lately is the misconception that a laminate bodied ukulele is automatically 'junk' and a build made of solid wood, even a solid top is somehow a ticket to guaranteed 'great' quality musical instrument. Wrong, wrong, wrong. You are buying the myth if you think that. I touched on this in my recent blog post about badly described ukes on dealer websites but wanted to go further. What prompted that post, and indeed what I think prompts sellers to be somewhat 'economical' with the truth is that they are riding on the myth amongst many buyers that laminate equals bad and solid equals good. It doesn't. You see, as with most things in life, there is good and bad in both of those types of uke construction. Let's go back to basics though first. A laminate uke means the body is not made from solid pieces of timber, but rather from thin pieces of wood that has been sandwiched together from much thinner pieces. Plywood for want of a better term in the worst examples. A solid wood uke means that the wood pieces, as thin as they are, are simply very thin slices of wood from a solid piece of timber. Nothing has been glued or bonded together, it's just the same piece of wood front to back. There is a lot of stuff and nonsense about the differences, but VERY generally speaking, laminates usually cost less and tend to be the preserve of many bargain basement ukes, though not always. The theory with solid woods is that they provide their own character to the sound of the uke - the character of the tone wood itself, in a way that is impossible for laminates to do. They are said to vibrate more freely as the wood grains and fibres are still in one piece, unlike a laminate which is a sandwich that involves some bonding materials. Solid woods will also supposedly age in time and get mellower through 'opening up' - although that is a huge point of debate in musical instrument circles. For laminates, they tend to be more one dimensional in sound, and don't carry the character of whatever wood is veneered on the outside. Oh it does get me down when I see people talk about the 'lovely zebra wood tone' of their laminate uke, or that the 'cedar really imparts a nice voice' to their laminate cedar uke... but that is beside the point I am making. Laminates are however far stronger than solid woods and favoured by players in harsh climates as they are less prone to splitting, bowing or bellying. 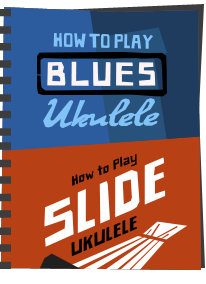 To my ears, with a solid wood uke, assuming a good build (and that's a key point here! ), I have a good idea what it's tonal character will be, whether mahogany, Koa, Spruce etc. With a laminate I won't necessarily have a clue. Doesn't mean it won't make music though and it also doesn't mean it won't sound nice either. 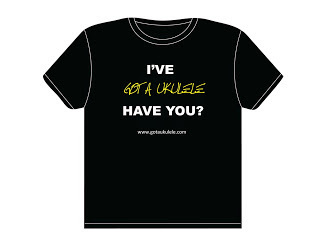 But as with so many things in the ukulele world, myths spread and soon become realities in some peoples heads, especially if they are people who have a tendency to being pompous about what they own - the 'my uke is better than yours' brigade. And that one myth that really irritates me is the thinking that 'oh I bought a solid wood / top uke and therefore it must be better than your laminate one'. Total and utter rubbish. Get off your high horses. You see there is much more to it than one being naturally being better than the other. For that to be true one must totally ignore other critical factors, most notably the quality of the actual build of the rest of the instrument. You see, whilst there are indeed many poor quality laminates (which literally are nothing more than cheap thick plywood) there are many good laminate builds too. Likewise I have come across a great many 'solid wood' instruments with terrible build quality. In the world of solids, that is usually signified by thick, heavy tone woods, fat bracing and a general shabby approach to the instrument. Such things can kill a solid wood instruments tone and projection stone dead. These solid woods are built with solid for the sake of it in order to make them appear attractive to the buyer. Often though, these cheap solid ukes don't actually bring with them the benefits that people expect or deserve. And it's because they are cheap builds with poor quality tone-woods that are often under-seasoned, that they make them thick and over brace them. If they didn't they would quickly split or deform. I would go further and state categorically that I have seen many laminate bodied ukes that have played better, sounded better, projected better (and just felt better) than many cheap 'solid' wood ukes. Laminates are actually used by terrific guitar makers such as Taylor and Martin who use 'professional instrument grade laminate' which really is rather sublime. Sadly you don't see it much on ukuleles as manufacturers tend to revert to cheap plywood at the lower end, but on models such as the Kiwaya KS5 and the Kiwaya KSU-1, you will see what I am talking about. And it doesn't always come at great cost either - the Baton Rouge Sun models are a great example of thin, tidy laminates coupled with a great general build that will knock the spots off a cheap 'solid top' ukulele that has been over built, over braced, or just has no character to the build because they went solid for the sake of it and used poor wood. Sure, there are woeful laminates too (far too many to name!) but they are not a guarantee of bad instrument in every case. 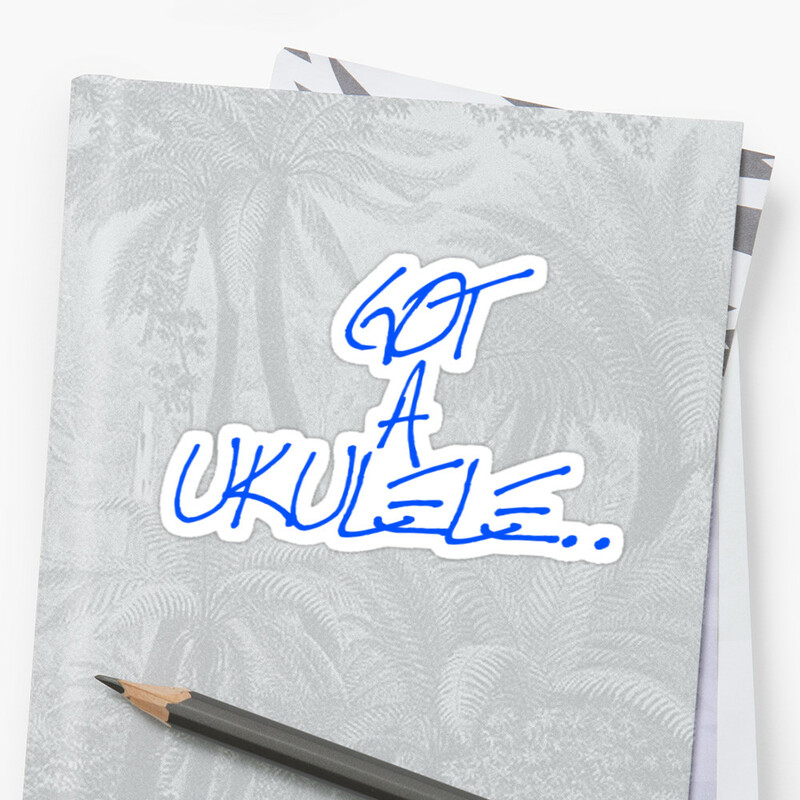 And then you have that ever present scattering of brands that sell laminate ukuleles and claim they are solid wood. YES these brands still exist, and YES they are doing this because they are tapping into the myth in an even lazier way. They assume 'solid' is more saleable, only in such cases they don't even make them solid. That's fraud actually... One new, utterly awful, example I am seeing is the term that they are made from a 'solid sandwich'. You read that right. Sandwiching several layers of the same wood together and then claiming it's solid wood. It really isn't. So new players should, I feel, understand more of what goes into making these instruments before shouting that 'I bought a solid wood uke so it MUST be good' nonsense. There are a great many bad, bland and average solid wood ukes out there - some of them truly terrible and no amount of using the word 'solid' is going change that. They are just no good. There is no shame in a lot of laminate bodied ukes - they work for a certain price point. Sure, I own many solid wood ukuleles, some at the very high end, and given the choice and budget I would always buy them, but I also have laminate instruments too. It's horses for courses. One thing you won't find me doing is looking down on laminates as a whole other than looking down on badly made instruments as a whole. It doesn't matter what they are made of, if it's bad, it's bad. And as the myth perpetuates, so confusion remains the order of the day when shopping for ukes. If it's a laminate - just say so please. If it's a bad laminate, then improve your ukulele rather than trying to hide the fact. If it's a solid or solid top instrument that is NO guarantee it's going to have any character whatsoever either. So what do I advise? Well, same as I always advise - take advice, read impartial reviews, and spend as much as you can reasonably afford on your ukuleles. If you can get into solid wood uke territory, bear in mind that you are looking at the intermediate to high end before you can guarantee yourself a killer tone, so don't overlook laminates. And certainly don't overlook laminates in place of cheap solid wood ukes with no tone whatsoever, that is just madness. As I tell anyone, I would take a good laminate uke over a cheap solid wood instrument any day of the week. Pardon the pun, but solid advice! Particularly from Asian countries, the build quality of laminates has definitely taken a turn for the better the last few years. 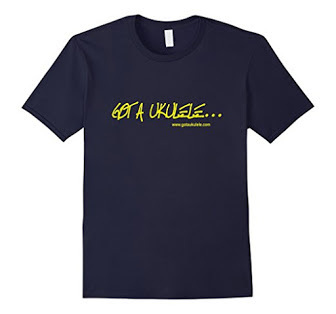 The only way to ultimately determine whether or not a uke is for you is to play it. Well said. I just recently bought a Kala laminate for use during the cold New England winters. Nothing discourages practice like having to get my uke out of the case and fuss with the humidifier ever time I pick it up. The Kala laminate doesn't sound as woody as the solid to my ear, but it does sound good in its own right, and has an impressive low-end punch. Good laminates have a nice even, almost compressed tone that I really enjoy. And it was a third of the price of my solid. So yeah, laminates definitely have their place. 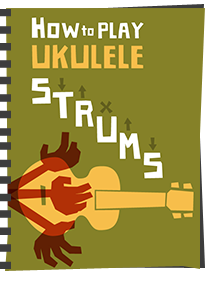 Having just re-strung three very colorful inexpensive laminate ukuleles I can say the the strings make a world of difference. The tone of the cheepie ukes is vastly improved with high quality strings. They'll never sound as good as a solid Koa ukulele but they have their place in the musical world. 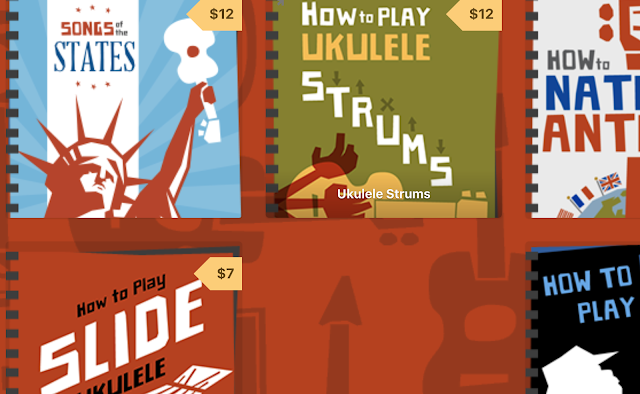 I have a lending library of inexpensive ukuleles that people can borrow to see if they really want to learn to play. I may be a little thick today, but I have to ask about the following sentence. "Lankais fit the same category in my view, as do many entry level Kalas." Too many possible antecedents for me. Do you feel that the Lanikais and Kalas are reasonably good laminates, or poor? Or are you referring to solid models? I do appreciate the column as I have been pondering a new uke, and thought that solid must be the way to go. Based on the column and the comments, I should perhaps be examining my choice more carefully. I believe that both of those brands turn out good laminates - some good solid wood ukes too. Thanks Siameezi - yes - I too think the Lanikai LU21 makes a good beginner instrument. Watch this website for a detailed review of one very soon! I've owned a number of Lanikais, both solid and laminates and have found that the finishes on their solids tend to be a bit heavy and tend to dampen the tone where the laminates seem to have a thinner finish. Before judging, the first thing I do is change the strings. I'm not a fan of the Nylguts and immediately will slap on a set of Worth Medium Browns then go from there. Thanks. An excellent and thought provoking article. One suggestion I would suggest to add to your buying advice. Try to buy from a music shop, rather than online. A good one will give advice, demonstrate your options, let you try before you buy and will normally have a resident expert who will ensure the instrument is well set up for you. Also, one day when the bug has really bitten you will be glad to have a local shop and its expertise and if you we don't support local independent businesses they won't be there in the future. How do you feel about the Kala Solid Mahogany? Which model - there's lots! Hi, thanks for the advice! I have been playing a cheap "souvenir" soprano uke I bought while in Kauai on vacation a few years ago. I have learned on it and it still plays well. I am looking into tenor ukes and came across donner. Do you know anything about them? They claim solid mahogany but for the price (75 bucks on Amazon with a bundle of other items) I'm skeptical. I found a review on YouTube and they seem decent but wanted to see what you thought of them. Thanks for your blog! 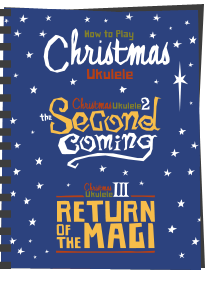 Only played the one - it's on the reviews page on this site - wasn't the best ukulele I've seen but it's far from the worst. Hi Baz, I'm wondering what should I buy between: Snail solid cedar top laminate rosewood or mahogany(don't remember) or Mainland red cedar full solid or Ohana cedar full solid too. I'm looking for a guitar sound, i would fit a Low G, but I'm still in doubt...actually I'm thinking to buy the Snail due to his laminate back/sides just because is laminate and therefore easy to maintain. What would be your suggestion Baz?